Mahogany wood is an expensive decking material that requires some care in order to maintain its color and finish. This wood has a natural beauty and color, but constant exposure to the elements results in fading as well as damage to the wood. How often you treat your mahogany deck depends largely on your climate and the location of the deck. If it receives constant sun or is exposed to a lot of rain or moisture, it needs to be sealed on a yearly basis. Otherwise, expect to have to treat it at least every two years. 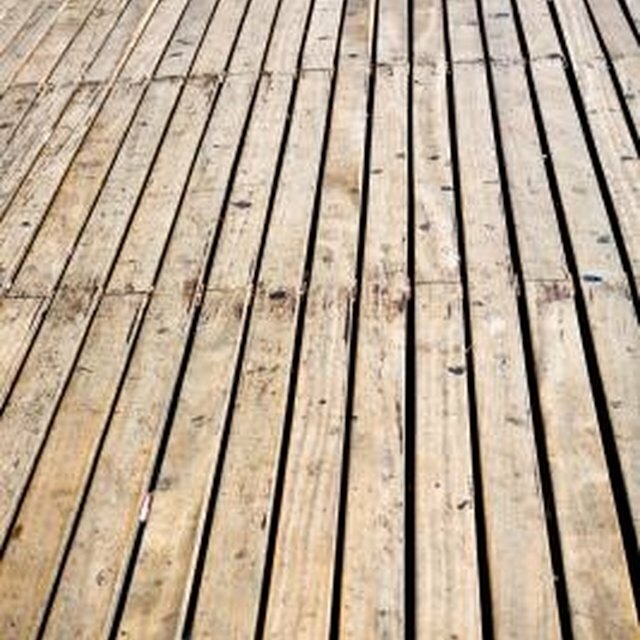 Sealing a wood deck helps prevent color fading and damage to the wood. Power wash the deck. The deck must be entirely free from debris and dirt before treating it. Use the lowest setting on the power washer to avoid scarring the deck. Work from the furthest corner in, spraying one section at a time until the entire deck has been cleaned. Allow the deck time to dry. The wood must be completely dry before proceeding. Allow it at least six hours to dry completely -- more in humid climates. Do a spot test if you are not sure. Touch the wood, and if it feels wet or damp, wait a few hours and test again. Apply the first coat of deck sealant to the wood. Use a simple paintbrush or a roller designed for deck use. Work with the grain of the wood, not against it. Once again, start in the furthest corner and work out. Leave yourself an exit from the deck, since you won't be able to walk on it once the sealant has been applied. Allow the sealant to dry completely. Give the first coat at least six to eight hours to dry. If this is the first time the wood has been treated, or if it has severely aged, apply two coats. If not, one coat should be sufficient. Apply the second coat. This coat will go on faster than the first. Follow the same pattern as you did previously with the first coat, and once again, give it six to eight hours to dry before allowing anyone to walk on it.